Income Tax is a type of direct tax. It is governed by The Income Tax Act (1961), as well as other rules, notifications, and circulars, issued from time-to-time. Barring certain exceptions it is mandatory for all 'persons' defined under the Income Tax Act to file annual returns, comply with Advance Tax and TDS and various other rules. The CBDT which oversees all regulations relating to Direct Taxes in India, and constantly endeavours to simplify the compliance and tax filing process. 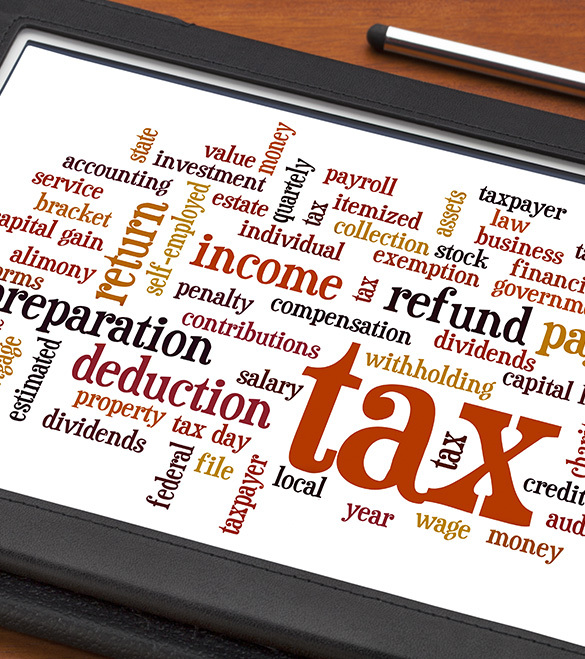 However, there are various aspects of the tax laws in India that still lead to complexities. Frequent amendments and notifications around Income Tax forms means that the method of filing or the information sought might vary each year. All of this further means that it is not always feasible for individual to file their tax returns without professional guidance. Filing or ITR for companies and firms is more complex and incorrect filing of returns and information have unfavourable consequences and penalties. Every company dreads notices, scrutiny, and correspondence with tax departments. Advance tax is payable by all assesses whose estimated Annual Tax Liability is more than Rs. 10,000. A person carrying on business, if his total sales, turnover, or gross receipts (as the case may be) in business for the year exceed or exceeds Rs. 1 Crore. However, if a person, opts for Presumptive Taxation Scheme under section 44AD, he is not required to get the books audited if his total sales or turnover does not exceed Rs. 2 Crores. A person who is eligible to opt for the Presumptive Taxation Scheme of section 44AD (*) but claims the profits or gains for such business to be lower than the profits and gains computed as per the presumptive taxation scheme of section 44AD and his income exceeds the amount which is not chargeable to tax. For the Assessment Year 2017-18 and 2018-19, a partnership firm (including LLP) is taxable at 30%. Surcharge : The amount of Income Tax shall be increased by a Surcharge at the rate of 12% of such tax, where total income exceeds 1 Crore rupees. However, the Surcharge shall be subject to marginal relief (where income exceeds 1 Crore rupees, the total amount payable as Income Tax and Surcharge shall not exceed total amount payable as Income Tax on total income of 1 Crore Rs. by more than the amount of income that exceeds 1 Crore rupees). Education Cess : The amount of Income Tax and the applicable Surcharge, shall be further increased by Education Cess calculated at the rate of 2% of such Income Tax and Surcharge. Secondary and Higher Education Cess : The amount of Income Tax and the applicable Surcharge, shall be further increased by Secondary and Higher Education Cess calculated at the rate of 1% of such Income Tax and Surcharge. Income Tax Rate for domestic company for the Assessment Year 2017-18 and 2018-19, is taxable 30%. For Assessment Year 2017-18, tax rate would be 29% where turnover or gross receipt of the company does not exceed Rs. 5 Crores in the previous year 2014-15. However, for Assessment year 2018-19, tax rate would be 25% where turnover or gross receipt of the company does not exceed Rs. 50 Crores in the previous year 2015-16. Where income exceeds 1 Crore Rs. but not exceeding 10 Crore rupees, the total amount payable as Income Tax and Surcharge shall not exceed total amount payable as Income Tax on total income of 1 Crore Rs. by more than the amount of income that exceeds 1 Crore rupees. Where income exceeds 10 Crore rupees, the total amount payable as Income Tax and Surcharge shall not exceed total amount payable as Income Tax on total income of 10 Crore Rs. by more than the amount of income that exceeds 10 Crore rupees. Secondary and Higher Education Cess: The amount of Income Tax and the applicable Surcharge, shall be further increased by Secondary and Higher Education Cess calculated at the rate of 1% of such Income Tax and Surcharge. Assessment and Scrutiny proceedings, etc. Feel free to reach us for all types of tax compliance requirements in India.